After discovering a comet hurtling towards Earth, Toby snaps and turns into the action hero in his own movie on a mission to save the world from impending doom. Flashback a year: Toby is knocked off course when somebody crashes into his life. Catching Comets is a new show that asks how we're supposed to be big, brave and strong when we look and sound nothing like the heroes we grew up with on our screens. Currently being developed with the support of the Royal Exchange Theatre and Waterside Arts Centre. Catching Comets will premiere at the Edinburgh Festival Fringe in August 2019 at Pleasance Courtyard. A fast, funny and heart-breaking story about two young people with nowhere to go. Sebastian doesn’t fit in. He smells. He’s obsessed with apocalyptic anime, and he talks to himself. After a catastrophic fallout with his only friend, Claryssa, he wakes up with an avenging moth in a jar by his bed, and a calling to save the souls of all humanity. So begins the Passion of Sebastian: a journey into a terrifying and starless night. This revival at the award-winning Hope Mill Theatre (Theatre and Performance Hospital Club Award) was a Northern premiere for Declan Greene, one of Australia's foremost emerging playwrights (Artist in Residence at Melbourne’s Malthouse Theatre). MOTH was supported by Arts Council England through Grants for the Arts, the Fidelio Trust, O2 Think Big and the University of Manchester. "Blazing acting and smart production values illuminate a dark journey into a depressed teenage mind"
"MOTH is a strongly performed and stunningly staged production from a very impressive company." “I don’t want to talk about your weekend or about the weather. Because I don’t care. In this fiercely honest investigation of human connection and social isolation, the audience are placed at the very centre of the experience. Enveloped in Velvet is an arresting piece of theatre that provokes audiences simply by speaking to them, directly. A new play by playwright Piers Black-Hawkins, whose previous work has been with Soho Theatre, The Royal Exchange, HOME and who was recently shortlisted for the BBC Alfred Bradley Bursary Award. Following development with HOME and IdeasTap, Ransack and director Cat Robey (Off-West End Award Nominee for Best Director 2013) have made Enveloped in Velvet into a site-responsive piece of theatre. Appearing in a railway arch as part of Flow Salford in September 2015 in association with The Lowry, then in an abandoned house in Peckham as part of BasicSpace Festival and most recently in a bar above the Arts Theatre in the West End. "Enveloped in velvet is a unique theatre experience ... one of the best things I've seen"
"A STIMULATING PIECE OF THEATRE THAT PROVOKED MORAL REFLECTION AND SELF-EXAMINATION.’"
"A FINE EXAMPLE OF THE ART OF IMMERSIVE THEATRE"
"STARK HONESTY COUPLED WITH ACUTE VULNERABILITY ECHO THE MEMORABLE DEPICTIONS OF A DISILLUSIONED YOUTH DURING THE NINETIES RECESSION: RECALLING GRITTY MOMENTS IN IRVINE WELSH'S TRAINSPOTTING"
Ransack's revival of Pinter's The Dumb Waiter opened The Lucy Davis Vaults in the cellars of The Kings Arms in July. The Dumb Waiter marked the end of the Greater Manchester Fringe Festival 2014, played to sold-out audiences and claimed ‘Best Revival’ at the Greater Manchester Fringe Awards. Consequently, the production was invited back to the cellars for another sell-out run in November 2014. In January Ransack’s awarding-winning The Dumb Waiter broke out of the vaults and braved the world above as part of Manchester's Re:play Festival 2015 hosted by Home MCR. 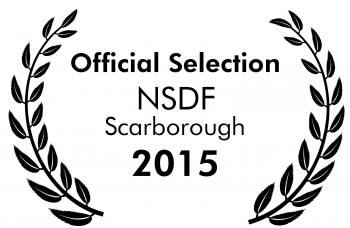 The Dumb Waiter was then selected to join NSDF 2015 in Scarborough where our remounting of the production in an abandoned school received the NSDF Judge's Commendation for Lighting and Design. "Ransack's production really does this great play justice." An evening of short, original plays from young playwrights in Manchester performed in an intimate pub setting. Divided into three short plays, the night kicked off in the stagnant space of a car boot sale; shifted into the boxy living room of a man suffering from mental illness and ended by exposing the turbulent inner landscapes of a set of characters who process the sudden death of a friend. "THESE EVOCATIVE PIECES OF THEATRE…POSSESSED A DRAMATIC POTENCY THAT WAS ABSORBING THROUGHOUT."